A limited beta test starts this month. That fancy new Roomba you got over the holidays could help suss out your home's WiFi weak spots this month. 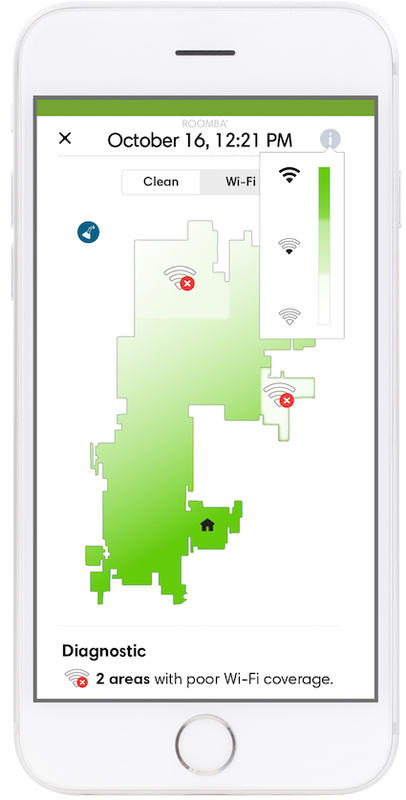 A forthcoming patch will add a wireless coverage map to the Roomba's vacuum heat map. From the sounds of it, the test group for this new feature could be relatively tiny. The iRobot Beta pool is limited to folks with the pricey Roomba 900 series, and according to the company (via CNET), there may only be 100 - 200 initial testers. From there, future Beta pools could have between 10 and 20 percent of iRobot users. Hopefully that includes DJ Roomba at some point, too.